Parts of the house are 500 years old. It’s an English Tudor Manor house, bought in 1925 by a Richmonder, Thomas Williams Jr., disassembled in Lancashire England and shipped to Richmond VA, and reassembled here. Some of it is modern construction materials, but I can’t tell where the old part ends and the modern part joins to it. 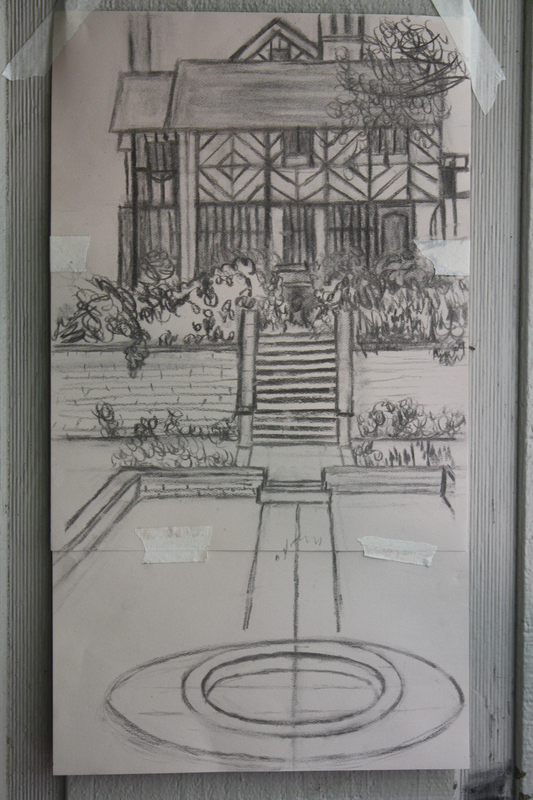 This sketch is the side view, seen from across the sunken garden. I have to redraw this, and make some corrections before I can transfer it to canvas. The shady side of the house has the most ornamental woodwork. 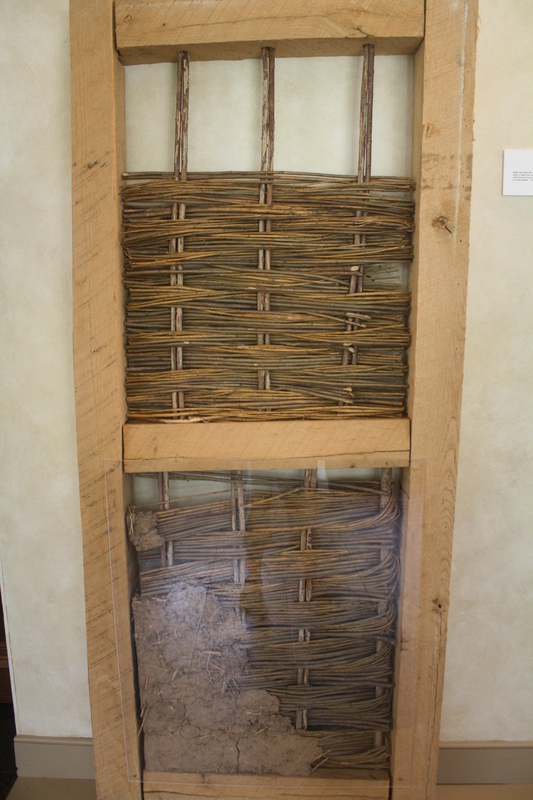 This photo shows what they call Wattle and Daub. There’s a bit of glare on the plexiglass display here, but you can see what was inside the walls in the old country. They made a weaving of sticks and then filled it in with a combination of mud, manure, clay and straw. to build walls. The dark parts of the wall seen in the photo above are Oak beams and Oak decorative pieces in a more smooth looking modern stucco type wall. It’s so beautiful there. It’s great to take the tour and see the inside of the house, but they don’t allow photography inside. 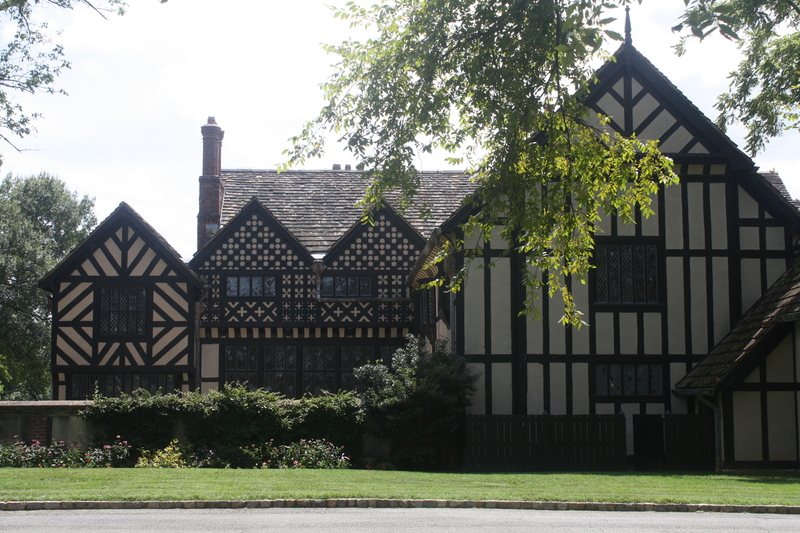 I plan to do a couple paintings at Agecroft Hall as soon as the weather cools down a little. Previous Are You A Canvas? Next The Joy of Youth!